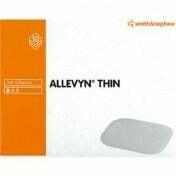 Smith & Nephew Allevyn Life Advanced Wound Dressings are designed to care for and prevent exuding wounds including pressure ulcers. Allevyn Life Dressings redistribute pressure, minimize leakage and have a change indicator to avoid waste and unnecessary changing. 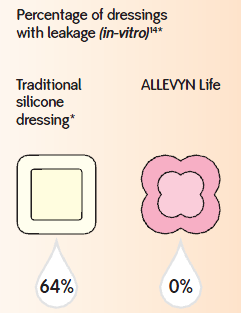 There are several different Allevyn Life sizes and shapes to ensure that you find the correct size and shape of dressing for your wound. 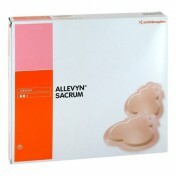 Allevyn Life Dressings come in three unique shapes: quadrilobe, heel and sacrum. Quadrilobe Wound Dressings provide a contoured, secure fit anywhere on the body. 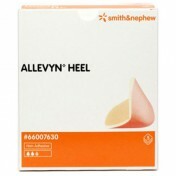 Heel Wound Dressings are specifically designed for the heel of the foot. The unique shape eliminates the need for a secondary tape or adhesive agent. 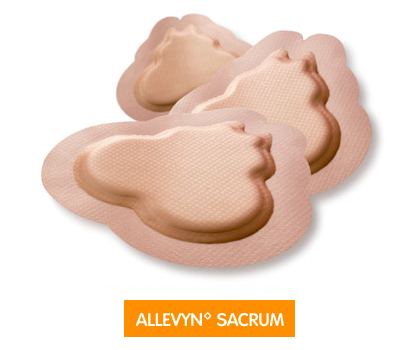 Allevyn Life Sacrum Wound Dressings include an even more specially-designed shape for wounds and pressure ulcers in the sacral area, one of the most common areas to develop pressure ulcers. The tail on the dressing helps prevent tenting and other common problems found in the sacral area. 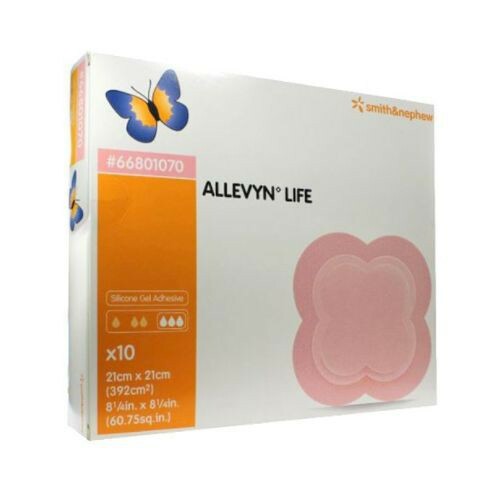 Allevyn Life Foam Dressings have wide adhesive borders that secure them in place and allow them to be worn up to 7 days, depending on the wound and exudate level. The silicone adhesive reduces discomfort when taking the bandages off and makes it possible to remove and re-position the bandages without losing adhesion. They can even be worn in the shower and still maintain their long wear time rating. These specialty Smith and Nephew Wound Dressings have multiple layers of varying materials that work together to lock in fluids and redistribute pressure better than traditional foam dressings. 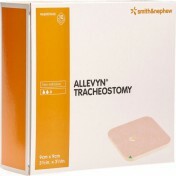 Allevyn Life has a hyperabsorbent pad in the middle of the dressings effectively holds wound exudate -- even while under pressure -- and reduces strike-through. Strike-through is the exudate that is visible on the outside of the dressing that can make patients feel unclean and self-conscious. 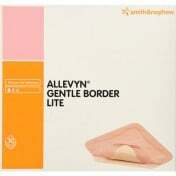 The extra comfortable padding of Allevyn Life also distributes pressure better than older foam dressing designs. 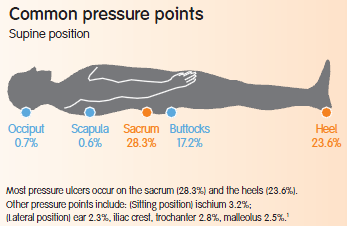 Because of the improved pressure distribution and absorption properties, Allevyn Life dressings are highly rated to treat and prevent pressure ulcers. A hospital study using Allevyn Life wound dressings showed that 100 percent of patients were completely free of pressure sores within an average dressing wear time of just 4 days. Can you please give me a price to ship to Australia? Shipments to Australia differ depending on the price of the item and the shipping costs it requires to get there. For specific cost details, visit our international checkout feature at VitalityMedical.com. 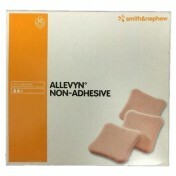 I ordered the 4" Allevyn foam dressings and as usual the product was delivered quickly. The drawback however is the price. After ordering them I found them much cheaper, on a few sites. Product great but payed for expedited shipping(50$ which is more than 1 box cost) and did not get the product when expected. 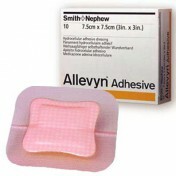 This product is very important for wound care and relieving pressure and needed it in 2 days but did not get! Spoke with 2 different people who did not care that this happened and did not refund the shipping. Have ordered from another company since. These work very well on an open wound. 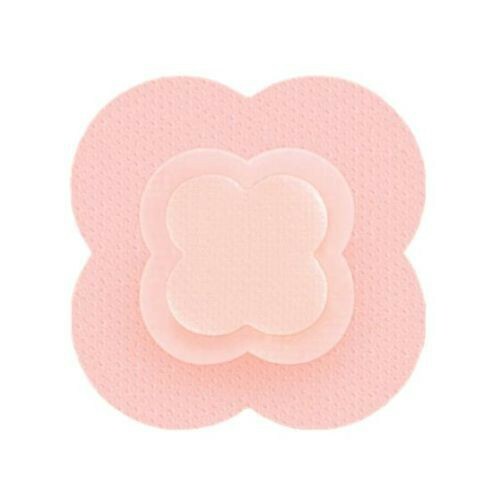 This is an excellent wound care product. Water proof and durable. So glad to have bought it. Work wonders.